That’s the total number of Communication/PR strategies I’ve had a hand in creating over the last three decades. Even though I can still remember some of the most intricate details from each of those plans, it still surprises me when I see that number. 300. As mentioned in my previous blog, I attended the Measurement and Evaluation Conference in New York recently and as with most industry conferences, I gained valuable insights in relation to industry trends and how CEOs and organisational decision makers think. I’ve posted this widely on LinkedIn already and I’ll continue to get the message out there as long as it can benefit someone: people continue to misunderstand the need for Communication/PR Strategy to be linked to Business Strategy. The last few months have seen me writing extensively about The Communication Dividend and why it’s not only needed by today’s Communication/PR professionals, but also about how it’s changing both sectors for the better. Change is something that always tends to frighten people but I’ve worked with numerous organisations to implement The Communication Dividend and I’ve seen how this solution changes companies and sees employees feeling more fulfilled and appreciated. The Communication Dividend is the result of 30 years of working with Communication/PR professionals – seeing how hard they work, busying themselves with constant activity and working overtime. And yet, because they have little or no hard data or statistics to show how their effort is contributing to an overall Business Strategy, these talented people are often considered ‘dispensable’ or a ‘bonus’. It’s my passion for seeing Communication/PR professionals rewarded for the value we create that continues to drive me, 30 years later. If you don’t know what your Communication/PR department is planning, measuring and investing in, it’s time to get informed. Just as your Accounts and Finance departments are crucial to ensuring your organisation’s success and profitability, those working to communicate effectively with your customers and communities, are also critical. Plan – like other professions, without a plan, very little is achieved in Communication/PR. The notion of ‘winging it’ is a mere fantasy. The most constructive Communication/PR activity is planned well in advance to capitalise on key opportunities or organisational milestones. Most importantly, as I mentioned before, these departments cannot be effective unless their activity is linked to the company’s Business Plan. Mapping out a solid plan for the next 3 to 6 months ensures team members are on the same page and everyone understands what is required of them and why this plan matters. Measure – if you’re familiar with how Communication/PR departments typically function, you’ll notice that they’re pretty much a hustle and bustle of constant activity. Regular tweets, Facebook and LinkedIn posts, media releases and alerts… if nothing else, you can count on these departments to be constantly busy. The issue with this is that unless you’re measuring and evaluating the effectiveness of this activity according to SMART (Specific, Measurable, Achievable, Relevant, Time-bound) objectives, there’s little point. As a results-driven leader, I am against activity just for the sake of ‘doing something’. The more you can measure in relation to your organisation’s priorities, the more knowledge you have up your sleeve to work with down the track. It’s also important to know where you’re starting from to see what goals you can set and aspire to achieve moving forward. 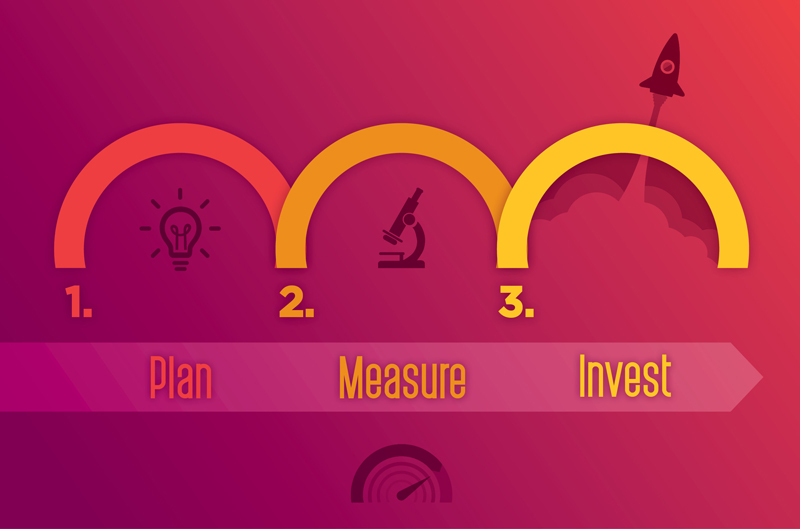 Invest – once you’ve measured and evaluated the activities your Communication/PR department is performing, the next step is to look at the findings critically. From here, decide where it’s best for your organisation to invest time and money. For instance, if the data presented to you shows that despite tweeting multiple times a day, you haven’t grown your Twitter audience by a great deal over the last month, you may decide to focus more time on Facebook in order to experiment further. Whenever I work with organisations and outline what needs to be done, people tend to look worried initially because it seems as though they’ll need to prepare themselves for a lot more work. However, The Communication Dividend has been built specifically to assist Communication/PR professionals in gathering this information so that it’s meaningful and can be presented in a useful way – saving time and precious resources. One organisation at a time, I know that The Communication Dividend is changing the Communication/PR profession and ultimately, this is what drives me towards our shared success. Interested in learning how The Communication Dividend can help your organisation achieve its overall Business Strategy? Get in touchwith us now.